At their core, stock prices are determined by two things: buyers and sellers. When there are more buyers than sellers in the market, stock prices go up. Conversely, when there are more sellers than buyers in the market, stock prices go down. 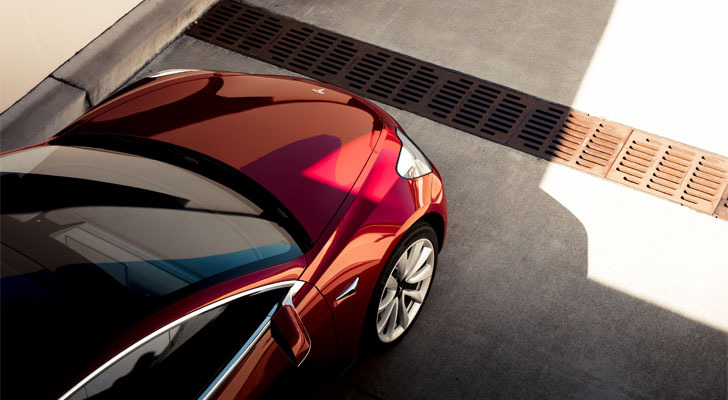 This simple dynamic can explain why electric vehicle manufacturer Tesla (NASDAQ:TSLA) has bucked the broader market downtrend over the past several months, and is currently trading at what is essentially an all-time high. Tesla stock has what is called a huge short interest. That means there are a lot of people out there borrowing shares to bet against the stock. But, as the bear thesis against Tesla stock has lost credence over the past several months due to a big profit in Q3 and sustained Model 3 production ramp, a lot of those shorts have rushed to cover, and that has turned them into buyers of Tesla stock. Thus, the big rally in Tesla stock since late October can be attributed mostly to one thing: short squeezes. Not surprisingly, as Tesla stock has risen from $250 to $375, the percent of the float that is short has dropped meaningfully. Similar rallies in Tesla stock over the past five years have also been accompanied by drops in short interest. But, here’s the kicker: short interest has dropped just a few percentage points, and nearly 25% of the float still remains short. That means that if the Tesla bear thesis keeps losing credence, there is a whole bunch of buying firepower underneath this stock that will continue to fuel big gains. That is exactly what will happen over the next several quarters. The Tesla bull thesis will gain credence. The bear thesis will lose credence. Shorts will rush to cover. Short interest will fall from 25% to 20% to 15%, and lower. There will be tremendous buying power, and Tesla stock will head way higher. Make no mistake about it. The bear thesis against TSLA is losing credence. There were four key pillars to this bear thesis. Those pillars included Tesla being unable to adequately ramp Model 3 production, continued cash burn pressuring a distressed balance sheet, rising competition thwarting the growth ramp, and an erratic CEO leading the company astray. All four of those pillars have substantially weakened over the past few months, and are in danger of crumbling entirely. Tesla being unable to adequately ramp Model 3 production? A few months ago, Tesla was struggling to make 1,000 Model 3’s a week. Now, the company is pumping out 1,000 a week. Clearly, Tesla has figured out its Model 3 production ramp. Continued cash burn pressuring a distressed balance sheet? In Q2, TSLA was massively unprofitable with cash burn from operating activities of $130 million. Things changed in Q3. Tesla recorded a huge profit, and cash flow from operating activities was a whopping $1.4 billion. Clearly, this company has gone from money-losing operation to money-making operation. Rising competition thwarting the growth ramp? Ever since July, the Tesla Model 3 has been a top 7 selling car in the U.S., and it was No. 5 in November. Moreover, throughout the back half of 2018, Tesla Model S and Model 3 sales have seen tremendous growth, while the rest of the auto industry has struggled due to higher rates. As such, Tesla is clearly gaining market share on competitors, not the other way around. An erratic CEO leading the company astray? For a while, it seemed like the biggest driver of Tesla stock was CEO Elon Musk’s Twitter account. That is no longer true. All is quiet now on the management front, and things seem to back to business as usual at Tesla. Overall, the bear thesis is rapidly losing credence. Over the next several quarters, it will continue to rapidly lose credence as Tesla produces and delivers more vehicles than ever, continues to report profitable quarters, produces tons of cash flow and all together transforms into the world’s largest automotive manufacturer. One of the most attractive things about Tesla stock is that its still huge short interest gives the stock a ton of firepower to head higher over the next several quarters as the fundamentals improve and the bear thesis loses its legs. Nearly 25% of the float is short. That is a huge number. Other auto stocks like General Motors (NYSE:GM) and Ford (NYSE:F) have short interest that amounts to no more than 3% of the float. Meanwhile, Netflix (NASDAQ:NFLX) is the most heavily shorted stock in the FAANNG group in terms of short interest as a percent of float, and its short interest as percent of the float is just 4%. Thus, if short interest in Tesla stock falls to normal levels of below 5% over the next several quarters and years, that implies another 20 percentage points to go in short interest reduction. Such a massive reduction like that has happened before. From late 2013 to late 2014, short interest as a percent of the float dropped from 50% to 25%. During that stretch, Tesla stock more than doubled from $130 to $280. For what its worth, a mere 14 percentage point reduction in short interest as a percent of float in 2016-17 coincided with a near 90% rally in Tesla stock. The broad implication is clear. There are a lot of investors out there who are short Tesla stock, and they shouldn’t be. As the bear thesis loses credence over the next several quarters, they will rush to cover in bulk. This bulk short covering will ultimately power further substantial rallies in Tesla stock. TSLA is still in the relatively early stages of transforming into a global automotive giant, and as this transformation continues to play out over the next several years, shorts will rush to cover, giving Tesla stock ample firepower to head higher. As of this writing, Luke Lango was long TSLA and NFLX. Article printed from InvestorPlace Media, https://investorplace.com/2018/12/short-squeezes-will-keep-pushing-tesla-stock-higher/.